The review post today is about my latest autumn skincare products. It’s time to switch things up. 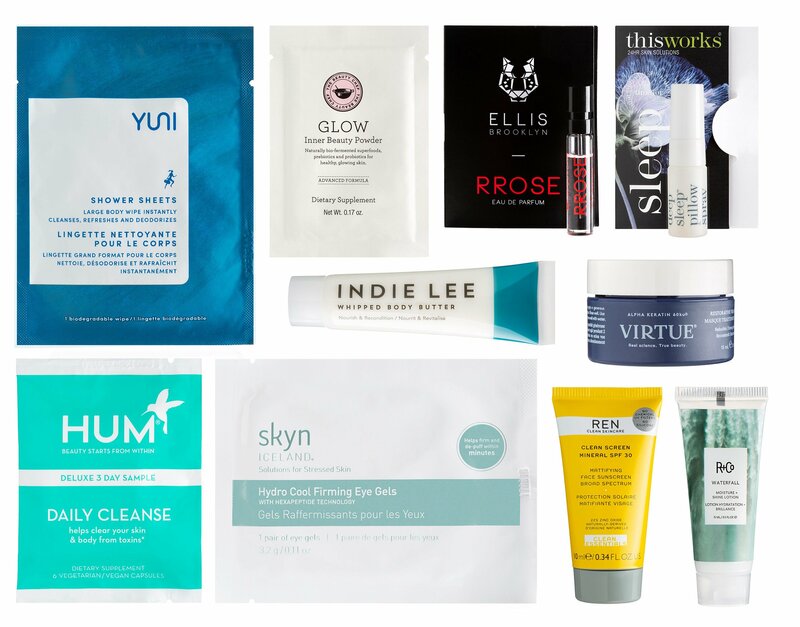 I have tried a bunch of full-size skincare items with distinctive formulas– natural beauty, Korean beauty, physical strength beauty and luxury beauty. Here’s my feedback of these items from Clinique, Estee Lauder, The Ordinary, Hourglass, It’s Skin, REN Skincare, Peter Thomas Roth, June Jacobs and many more. Press Sample /Sponsored /This post may contain affiliate links. Read the full disclosure. IcanGWP Review: If you struggle with Milia or separating makeup because of heavy eye cream, then you may want to consider this cooling eye gel from REN Skincare. The eye gel or eye serum is always an additional step for my eyes especially in colder months. I like how my skin soaked up the antidote. There is a slightly controversial ingredient that will instantly disperse the blood that cause dark circles. It is used widely in natural skincare and I don’t see any irritation after 3-4 days continuous usage. So if stubborn dark circles under the eyes are your concern, you may try to get a hand on this! IcanGWP Review: This is a foundation that is meant to be used as a touch up item. I grabbed this product as soon as it launched. The formula is lightweight and I like the idea of retouching as well as adding a pop of glowing highlights to the skin. Some of the liquid absorbed and highlight is left behind – beautifully brightening and adding subtle glow. I cannot use it to on my T-zone, it exaggerates the oil and made my makeup slide. It works great for other areas. It’s like YSL touche eclat and I prefer to apply it like YSL instead of retouching. If you like the benefits and find touching up with powder highlighter is boring, then give it a try. IcanGWP Review: To call it a lotion is really misleading. This is more like an essence to prep up your skin with extra hydration after toner. Unlike the famous 3-step toners, this product is alcohol free. I’m excited because it has a lot of fermented ingredients. It didn’t do anything instantly but the skin is obviously stronger, firmer and can handle cold whether better. I always love to add additional essence that I pat on the skin after toner for cold season. IcanGWP Review: The formula is breathtakingly beautiful. I empty the bottle and really like the glowing and healthier skin. It’s a splurge but if you are looking for a great penetrating essence, this is the one. I’d repurchase this goodie. IcanGWP Review: The Korean sheets that promise to deliver 7 benefits in 7 second in the morning – just refrigerate and swipe it on in the morning. These two-sided pads are soaked in a clear liquid, with no odor. The soft toning side is shown in the image. The opposite side has exfoliating beads. I like the refreshing result and how easy it is for a lazy morning. I do not care for the snail slimey texture that never ever dries in the morning rush though. It’s personal and it’s almost perfect. There’s another well-known pad that is easy to buy called Star Skin 7-Second Masks at Barneys and other US department stores. IcanGWP Review: I am falling for its intoxicating rose aroma, so light and so pure. The glossy cream is rich and buttery smooth. I’m impressed with the matte finish that is great for the work day and wears so well under makeup. It helps tremendously to hydrate and plump the skin. I can see the difference of my T-zone where I used a light lotion compared to the rest where I applied this magic cream. My T-zone looks so dry and shows no more signs of aging when I smile! This is going to be a very nice addition to anyone’s winter skincare regimen. IcanGWP Review: This treatment promises to improve the appearance of expression wrinkles, especially around the eyes and the forehead. For me, I think it’s a one key product. It doesn’t do anything for the moving part wrinkles nor contributes to anything when I use it with others. Don’t just listen to me, I use a lot of peptide-rich products including Argireline (aka acetyl hexapeptide-8). So the “Oomph” result wouldn’t happened to my skin. It’s Argireline and at 10%, it should do a miracle. When I read reviews, it’s almost like 99% of people have seen the difference including some 11’s improvement. It’s a great and affordable product to try this ingredient. IcanGWP Review: I’m a peptides maniac. Don’t name your product peptide booster because I’m going gaga for it! I finished the bottle and like the results enough. The skin looks supple. What I like is that it is healthy from within. I don’t have any skin problems and can handle physical strength products better. My skin seems happy but not much happier. I’m not sure if I’d repurchase this particular booster but would like to try other boosters from Paula’s Choice. IcanGWP Review: This serum from The Ordinary skincare is getting a lot of buzz and I find it’s worth the hype. I like the results as much as the Paula’s Choice booster above. Considering the simple but excellent ingredients, the great well-rounded formula and the price, this is a must-try powerhouse serum for everyone especially for young ages. If you want fancy retinol, acids or fancier, stronger ingredients, you can try switching them around with others. IcanGWP Review: The hyaluronic goddess serum has a great punch of hyaluronic acid that is formulated to guarantee the maximum penetration and is among one of the highest quality serusm in the market. I really like this line for a great amount of Hyaluronic boost. It may feel like a gel and not hydrating. However, at the end of the day, the skin is still holding the moisture better. If you have dry skin, Hyaluronic serum or moisturizer which is a great humectant is a must. This made the way to the primer for glowing from within hall of fame! I now have three on my list! Here’s the ingredients, short, clean and beautiful! IcanGWP Review: This is a good balm for extremely dry itchy skin. This ointment is rich in squalane, sunflower, jojoba, sesame, soy and rice extracts. They can deliver all the sublime softness you’d expect from a luxury cream or even from some facial moisturizers. It also contains the brand’s signature patented anti-oxidant blend of white, red and green tea extracts combined with goji berry, pomegranate and grape seed extracts. Plus, it’s paraben and preservative free. IcanGWP Review: I haven’t used sunscreen milk for a while and forget how great it is to use oil-free light SPF! When I re-introduced it into my autumn beauty routine, I found this is a great product to use under makeup. It dried fast, has no-scent, zero greasiness and is really comfortable to wear. Lancome claimed that it can retain water for 40 minutes. For those with sensitive skin, it contains alcohol. IcanGWP Review: It wasn’t as nice as Tom Ford goddess Neori but the scent felt luxe and so feminine! It’s a great item to have in the office to re-boost your afternoon moisture. That’s my autumn skincare switch up. Any thoughts? I’m living in the PNW and our fall is quite mild this year. It was not too cold nor too “rainy”. Still pretty comfortable for the skin but winter is coming and I’m going to need a richer skincare routine. How’s your fall beauty routine? Have you discovered new must-have skincare items this year? I’m so happy you enjoyed the reviews. I was hesitant because it’s not GWP but just something I am using. And I normally share my feedback on the GWP only. Thanks a ton!